Even if you only have a passing interest in rocks and volcanos, this free to enter geological museum is worth a quick stop as an explainer for the Indonesian archipelago’s part in the Pacific’s “ring of fire”. The Gunung Batur area was established as Indonesia’s first Geopark, part of the UNESCO Global Geopark Network in 2012 and the Batur Volcano Museum aims to showcase Indonesia’s Geoparks and acts as an educational and research facility. The museum is housed in an unusual volcano-shaped building, at the eastern end of the road circling the top of the crater at Kintamani. Well presented exhibitions span two floors, and includes general geological information on the formation of the Earth and volcanos, to more specific details of local vulcanology and the history of eruptions of Mount Batur. A large collection of volcanic rocks from Gunung Batur and Gunung Agung are displayed as well as tektites and meteorites. Interactive models and animations are interesting for nerdy button pushing kids. 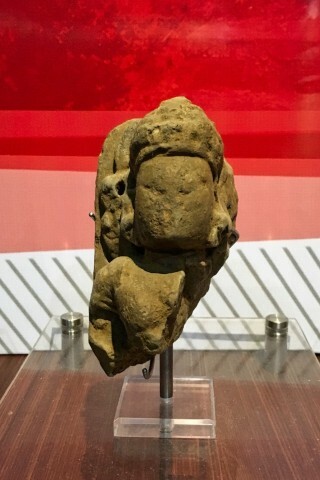 Other exhibitions showcase the natural and cultural diversity of Bali, including an intriguing Neolithic stone sarcophagus, and some Bronze Age weapons. A short documentary about Gunung Batur’s formation and eruptions is screened at 11:00 and 13:00, with a minimum of 20 attendees. Continue up to the third floor where a telescope offers views of Gunung Batur up close. The museum is closed on Fridays but is worth stopping by other days on your way to climb the mountain. Mon-Thu 08:00-16:00; weekends 08:00-14:00; closed Friday and national holidays.